This is the last project and then I can finally do a full on nursery reveal. We also sewed curtains, but I have about two pictures of the process and none of the measurements. We did line them so they're thicker and don't let as much sun in and each panel is the full width of the fabric - I think it was 44 inches. 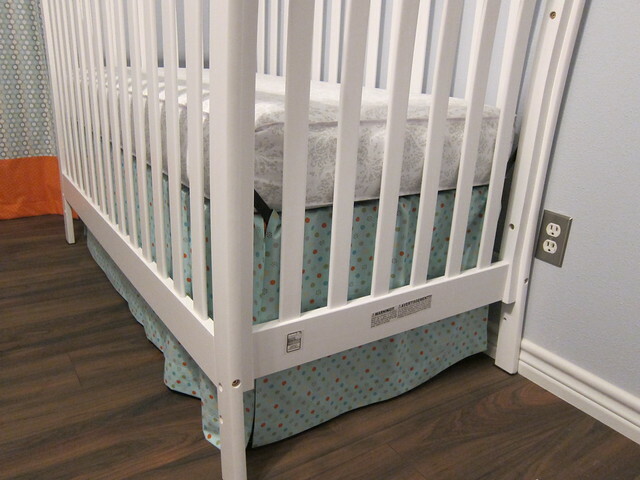 When we made the crib skirt, I wanted something that I could adjust as the mattress moved down. We sewed three individual pieces and sewed ribbons into the top seam so that we could adjust it. 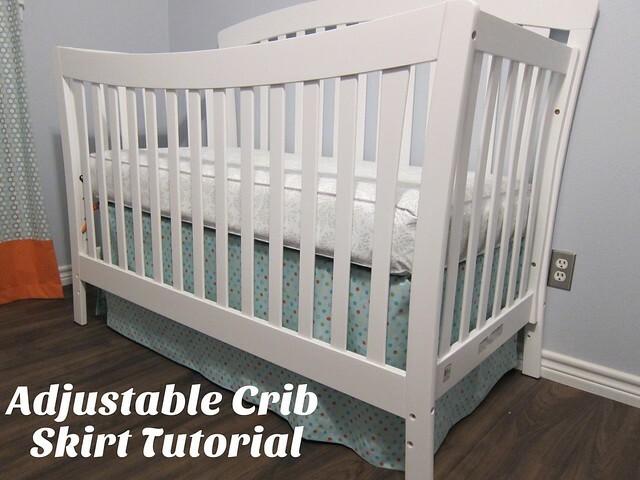 First off you'll want to measure your crib. My short sides were 27 inches and the long side was 49. 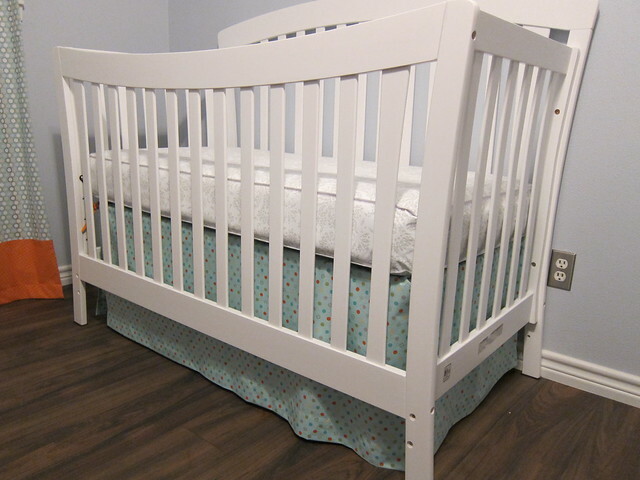 With the mattress at the highest setting it measured 19 inches long. 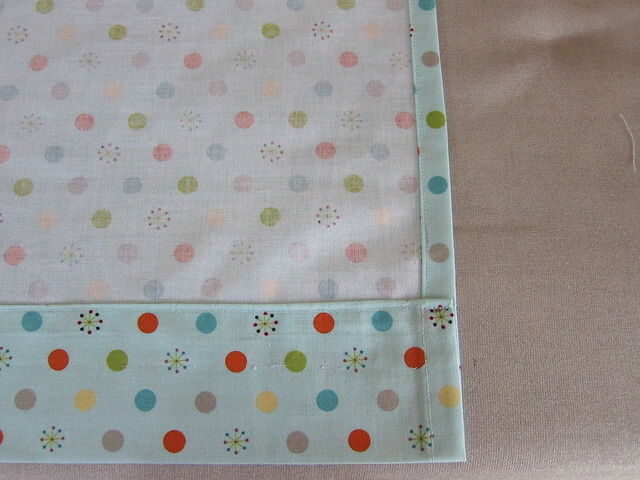 We had 1/2 inch seam allowances on the top and each side, and a 3 inch allowance on the bottom. You want a larger seam on the bottom so that the skirt sits pretty. 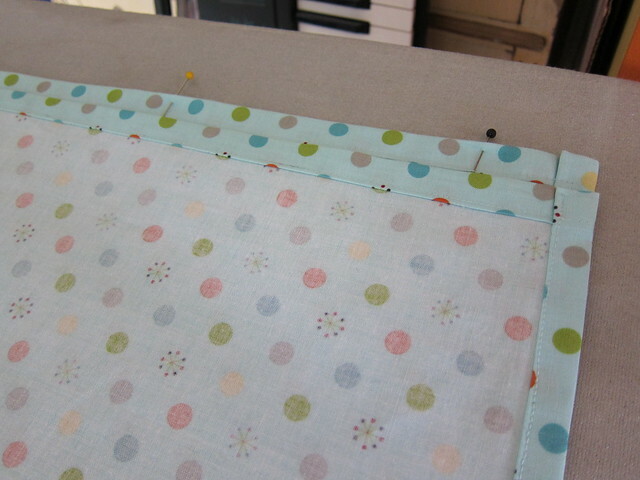 Pin and sew your seam allowances except for the top. Place pins where you want your ribbons to go on the top piece. We took the piece to the crib so we could place them where the rungs would let us. To make it easy we placed the two short pieces together so we didn't have to measure twice. 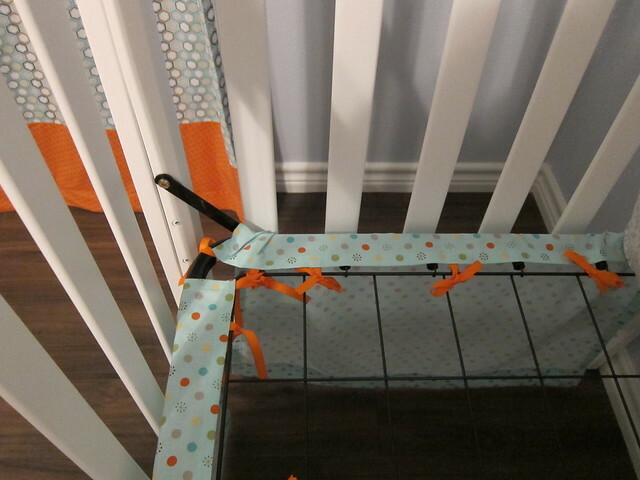 Then just tie your pieces to the outer portion of the crib rail. Mine did have a little bar that we had to work around, but we just tied around it and it still lays flat. 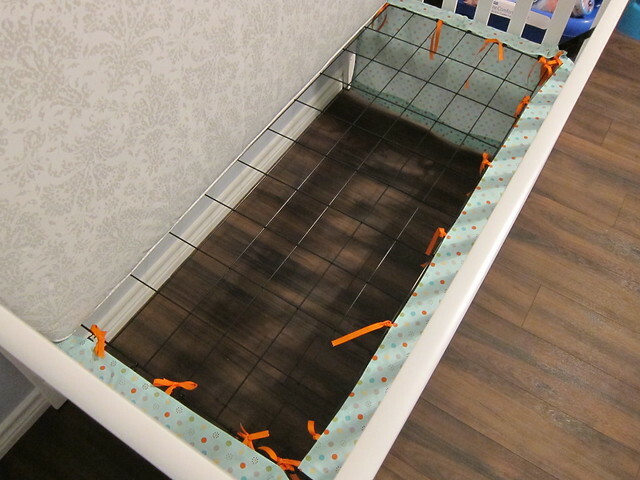 Now as you move the mattress down, just move the ties back as you go so the skirt doesn't bunch on the ground. My mom made one for me like that! Super cute!